When it comes to the subject of making money online in Nigeria, a whole lot of Nigerians are sceptical about it. As a matter of fact, over 95% Nigerians believe that the only way to make money online in Nigeria is to engage in fraudulence activities online, what is popularly called "Yahoo! Yahoo!" in this part of the world. Of course, while quite a number of people that make money online in Nigeria are "Yahoo Boys" as they are called, there are over 100 ways you still can make money online in Nigeria without being a "Yahoo boys". 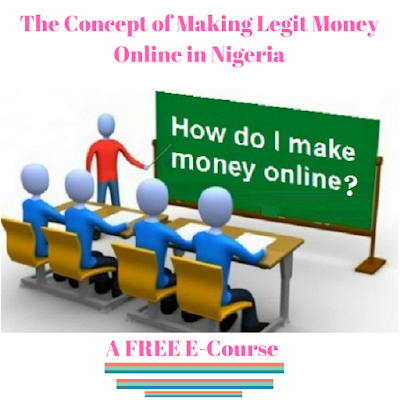 In this post and the subsequent posts, I will be revealing these legitimate ways of making money online in Nigeria. This article and the ones that will come after are actually from my book that I titled The Concept of Making Money Online in Nigeria. The book is written to clear you the readers of the wrong misconception about the subject of making money online. So before I get down to business, let me address common misconceptions about making money online or establishing an online business in Nigeria. This is a very long article so I'm going to divide it into several segments. In this segment, I will only talk about the first misconception. The remaining ones will come in the subsequent posts. So let's quickly dive in and talk about the first misconception right away. This is the major misconception about making money online in Nigeria. As stated earlier more than 90% of Nigerians still hold on to this misconception. I was like that initially. 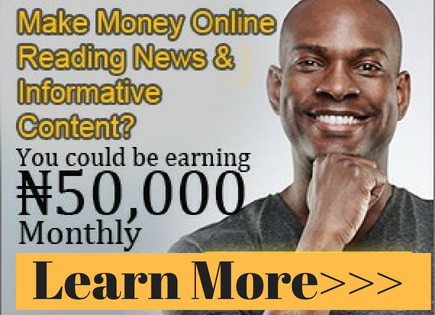 As a matter fact, it took me several years to accept the fact that there are legitimate ways to make money online. I was introduced to online business when I was in my year three (3) in the university, but I refused to accept the system and take a step until 5 years later. I didn't accept the system because I also held on to the view that the only way to make money online is all about "Yahoo Yahoo!" or "Yahoo plus" as they have added a plus to it this day. After the first introduction in the university, I was later re-introduced into online business during my National Youth Service (NYSC) in the northern part of the country. As a corps member, it was our common tradition to apply for the non-existent jobs via the internet, before completion of service. While I was surfing the internet looking for job vacancies, I came across an ad that reads "Get a master degree in online business FREE". I am a lover of knowledge and will offer anything it will cost me to acquire relevant knowledge. So when I saw the word 'Free', for that matter, I signed up. After all, I will have nothing to lose other than to enter my email address and participate in the course. After subscription I discovered that it was all about internet business. The person in charge of the Master in Online Business started off immediately. The next morning my first lecture was already waiting for me in my mailbox. I reluctantly opened it, still not interested, I didn't care to read it to the end. I only scanned the mail and close it. The preliminary lectures were to last for 7 days, one for each day of the week. The lecturer never one day failed to send the lecture to my box. Most of them I never care to read before deleting them. As a matter of fact, I condemned the guy as one of those "Yahoo! boys" trying to rip people of their hard earned money via the internet. Even though some of the free books the lecturer sent to me, their preliminary pages contained short exhortation from the Bible. He gave a short preaching in the preliminary pages of the books about God and His Son, Jesus Christ. I never still believed the guy. I believed he was only using God's name to perpetrate evil on the internet. That was quite a long story about my own misconception about internet business and the concept of making money online in Nigeria. To be sincere with you it was the frustration of Nigerian labour market that made me give 'Internet Making Money' a try. After scrambling the labour market for the non-existent white collar job for several years, I decided let me try something that will generate income for me but I didn't know exactly what to start. So I remembered the "Master in Online Business I earlier registered for. The lectures about internet business I talked about in the preceding paragraphs were programmed to be sent to my mailbox as long as I remained subscribed to their mailing list. So each time I log into my box thinking I will be called for a job placement or perhaps an interview, I would see a mail from Master in Online Business e-Course. Then I decided to give it a try, with the hope that if the system is all about fraud I could easily cancel my subscription. After going through the entire free training that lasted for 1 week I was convinced that the guy is not a "Yahoo boy". So I signed up for further training, this time training fee was attached. I paid the stipulated amount of money to their bank account and the ebooks were sent to me the day promised. After studying the materials, and the discussion in their online forums, I discovered that the people in charge of this Master in Online Business condemned vehemently any activity that is not legitimate on the internet. All the system described in Master in Online Business were legit ways of establishing a business on the internet and making money from it. They even talked about business ideas one can set up offline with little capital, tips on raising the needed capital and all of that. I then put all my energy into it and completed my course. Well, enough of my personal experience. In the next article we will consider some other major misconception about making money online in Nigeria. 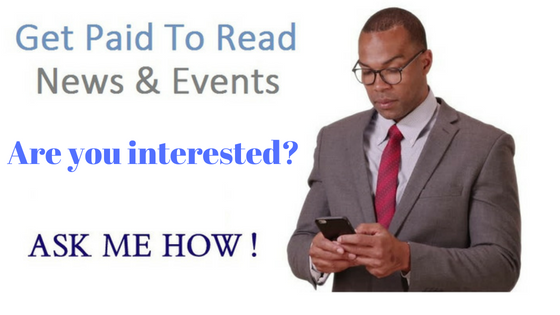 We will then consider some of the legit ways to make money online in Nigeria subsequently. So always check the blog for new entries on this topic. We love comments, if you were like me in the past or you still hold on to your misconception, let's hear from you in the comment section.